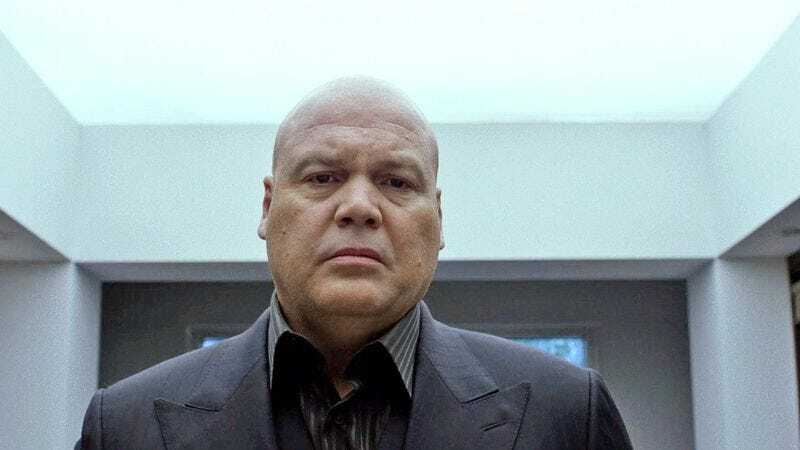 Vincent D’Onofrio has clearly had a lot of fun playing Wilson Fisk on Netflix’s Daredevil show, but ol’ Hornhead has other bad guys to fight and the Kingpin has never really been happy settling down with only one nemesis. So it makes sense that D’Onofrio would be keeping an eye out for other Marvel heroes he could be battling. As reported by Screen Rant, though, there’s one costumed hero he wants to face off against more than anyone else: Spider-Man. Over the weekend, a Marvel fan page tweeted at D’Onofrio to ask if he’d want to “have a showdown” with current Spider-Man Tom Holland, prompting D’Onofrio to enthusiastically respond that he would indeed be into it. Granted, Universo De Marvel probably doesn’t have any sway with the actual company, and the Marvel movies and Netflix shows have been weirdly hesitant to acknowledge each other’s existence. But it would be fun to see D’Onofrio’s intense, tortured Kingpin meeting up with Holland’s quippy, teenaged Spider-Man.